The first annual Hurricane Gap Community Theater Institute was held on July 19-24, 2016. The institute is an opportunity for organizations to come together, share work, and learn from each other. 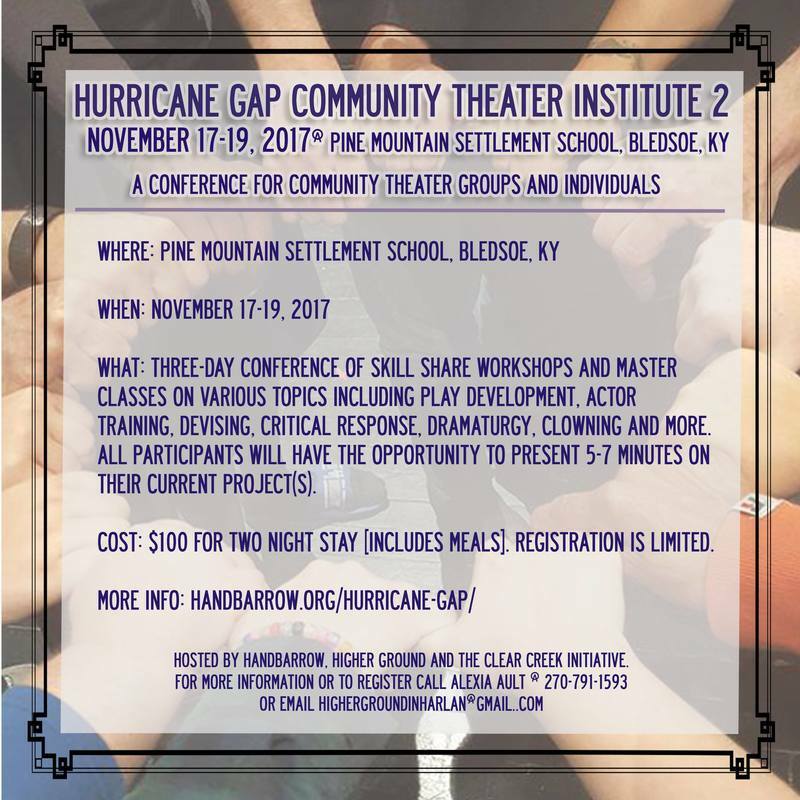 The Hurricane Gap Community Theater Institute, named for the pass in Pine Mountain between the two organizations, offered four days of workshops lead by theater professionals from across the country. Workshops included lighting design, stage design, directing, stage management, band/music directing, script writing, character development, and community engagement. Workshop leaders included Richard Geer [Community Performance International], Robert Martin [Clear Creek Creative], Anne Shelby [writer], Kevin Iega Jeff [dancer, choreographer], Paula Larke [community music], and Peter Kallok [lighting designer]. Additional workshops included community organizing, planning, asset mapping, and administrative organizing. In addition to workshops and learning exchanges, the institute included a series of performance showcases by Monkey Dumplings [Clay County, KY], Homesongs [Owsley County, KY], Cowan Creek Community Group [Letcher County, KY], Higher Ground [Harlan County, KY], and Divine Urban eXpressions [Knoxville, TN]. 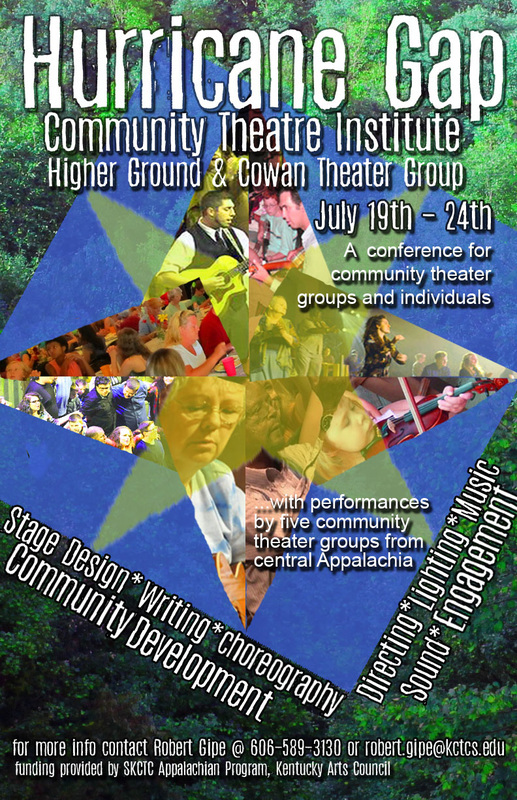 The 2016 Hurricane Gap Community Theater Institute was funded in part by the Kentucky Arts Council, Berea College Partners in Education, and the Southeast Kentucky Community and Technical College Appalachian Program. Each individual or group will be invited to share 3-5 minutes of their work at some point throughout the weekends. We have built a series of Workshare Blocks into the schedule for this purpose. We will have more information about the Workshare Blocks and Master Classes available at registration.